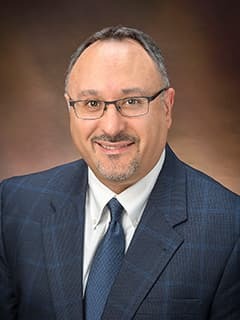 Researchers at the Center for Childhood Cancer Research (CCCR), including Hamid Bassiri, MD, PhD, are studying how modulation of T-cell receptor signaling may alter T-cell exhaustion. T-cell exhaustion is a state of dysfunction that arises during many chronic infections and cancer, and is defined by poor effector function and sustained expression of inhibitory receptors. Importantly, T-cell exhaustion prevents optimal control of tumors and has been implicated in the progression of certain cancers. The goal of research being conducted at the CCCR is to better understand the molecular mechanisms that are responsible for T-cell exhaustion in effector and memory T-cell populations, in order to identify possible novel targets for anticancer drug development in the future.